Sponsorships and player spots are available! Click HERE to reserve yours today. 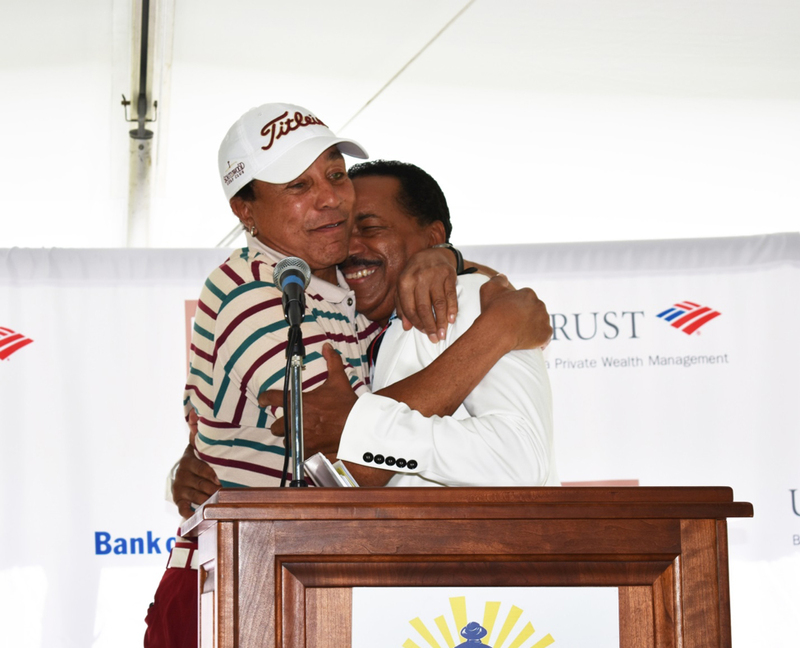 Every summer at the Valencia Country Club, Smoky Robinson hosts a day of golf with friends, colleagues, and associates to benefit The Midnight Mission. The golf tournament is followed by a cocktail reception, an auction with fantastic prizes, live entertainment, and an awards dinner. The funds raised by the tournament will support our programs that help homeless individuals and families turn their lives around. Your participation will save lives and create new opportunities for our most desperate neighbors who have lost everything. front of hundreds of players and corporate volunteers and thousands of our supporters via event invites and social media. Don’t miss this excellent opportunity to promote your public partnership with one of California’s most distinguished charity organizations through one of The Midnight Mission’s most high-profile events. Click HERE to download a PDF of the golf tournament sponsorship package. Contact Erika Homan at (213) 553-2320 or ehoman@midnightmission.org to reserve your sponsorship or player spot. You can also reserve and pay online by clicking HERE.